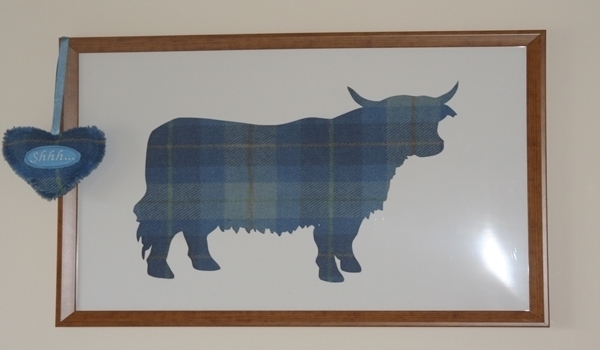 At Balachladaich Bed & Breakfast, each of our four bedrooms faces out directly on to Loch Ness. 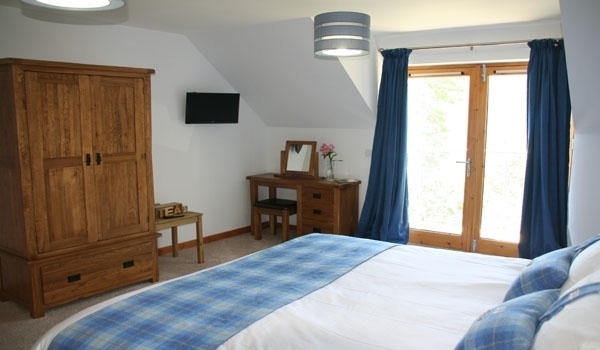 Each room has patio doors, leading out to either a private balcony (1st floor) or private decking area (ground floor). From here, you are literally a few meters from the water's edge. 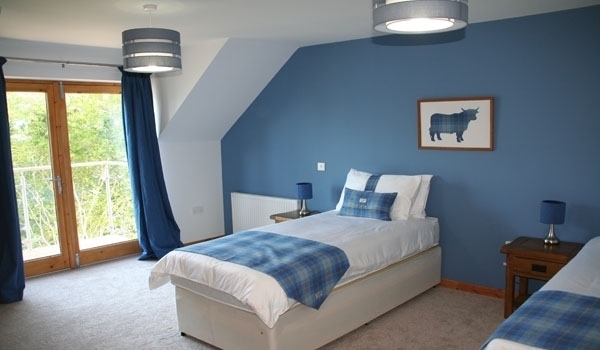 We have two double rooms with kingsize beds, a twin/family room (for families with children aged 5 and above only) with a kingsize double and a single bed, and one room which can be a kingsize double or twin room. The décor of the rooms is inspired by the nature that surrounds us. 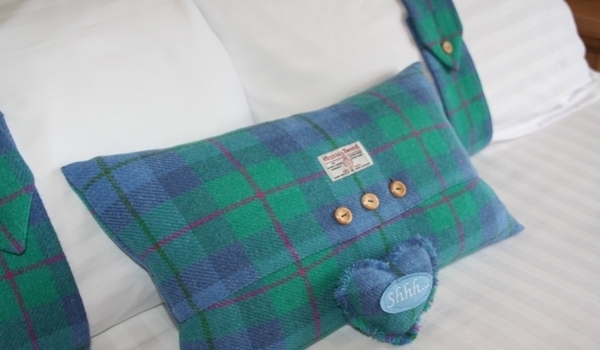 Soft furnishings and art are created in Harris tweed. 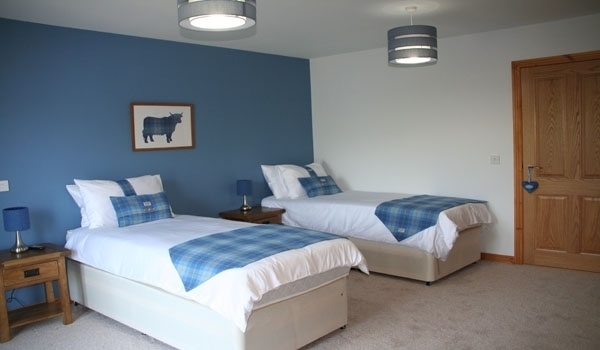 Rooms have individual temperature controls and are all en-suite, with powerful shower and a large bath (except Ashie, which has wetroom with shower only). Beds are king size and linen is quality Egyptian cotton. We supply non-allergenic 'just like down' all season duvets, unless you would prefer real goose down. A choice of pillows is provided. 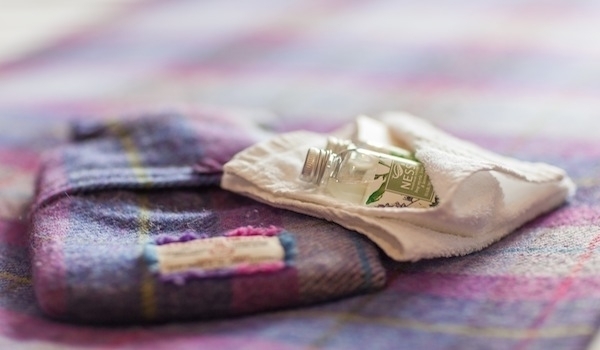 Additional blankets and hot water bottles are supplied for the cold nights. 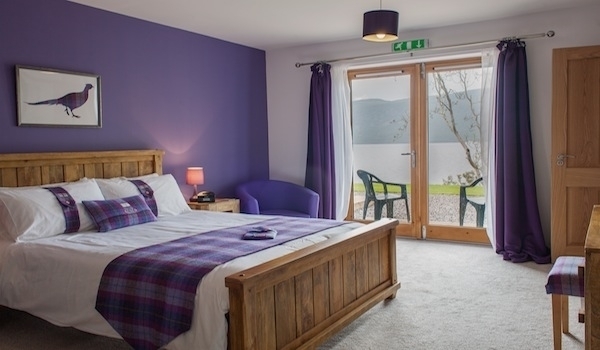 Book your relaxing break with us and enjoy the peace and quiet of South Loch Ness. 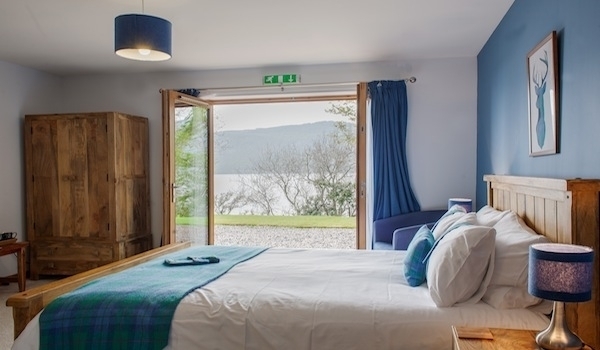 If you are able to drag yourself away from the wonderful views across Loch Ness, bedrooms are equipped with iPod docks, radios and flatscreen TVs with DVD players. Wi-Fi is also available, and there is a laptop available for you to use. A selection of teas and coffees (including herbal and decaffeinated), hot chocolate, and home made confectionery can be found on your courtesy tray. You also have a silent fridge for your use, and we will happily supply fresh milk if you wish. There are two lounge areas for guest use. Downstairs, you can stay cosy by the log stove and enjoy the stunning views. The gallery lounge upstairs looks out across the loch and down into the lounge below. Upstairs you will find many books on the local area as well as board games for your entertainment. 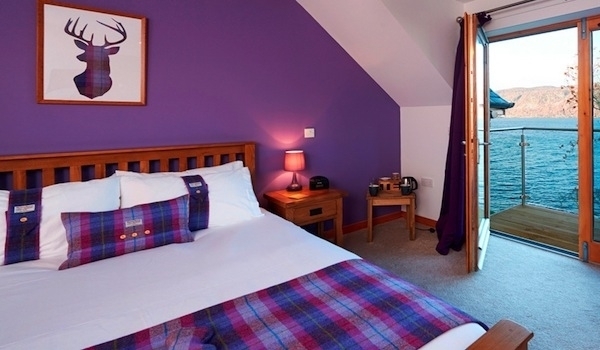 We have a ground floor room with disabled access and wet room ensuite. We do not allow smoking within any of our rooms.